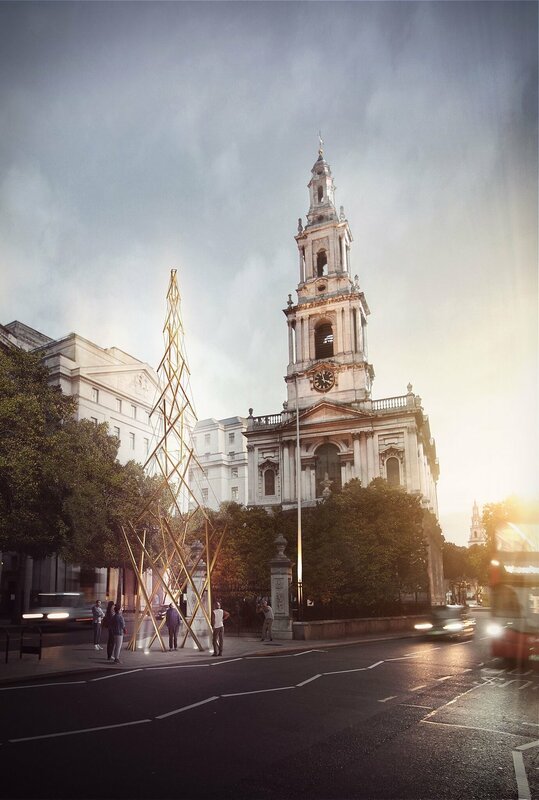 ScottWhitbyStudio with engineers WhitbyWood won an international design competition to design a 'Modern Maypole' as the flagship project for London Festival of Architecture 2018. 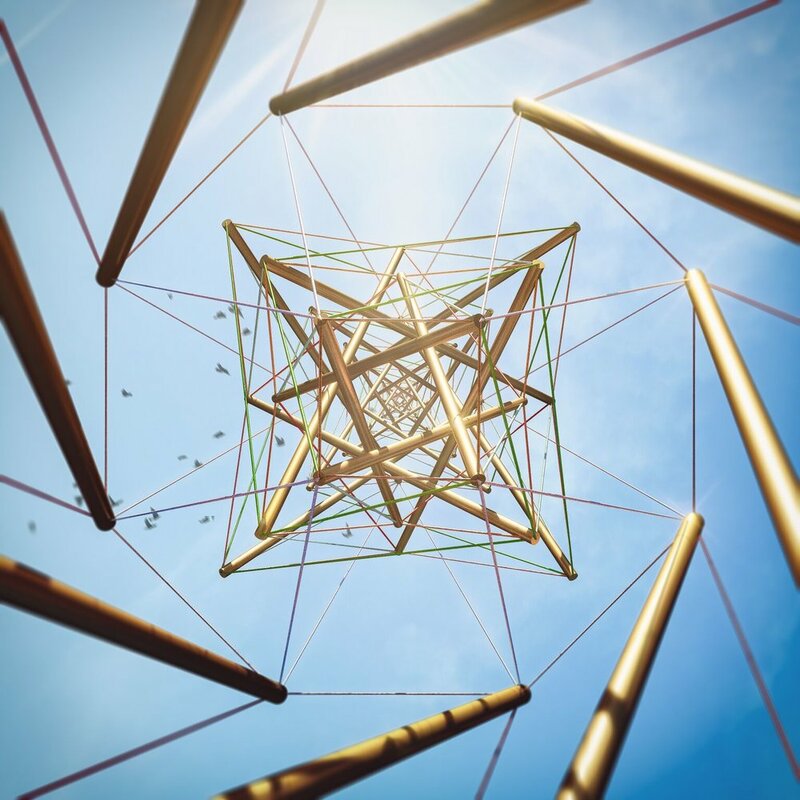 The complex tower of 32 golden maypoles, each representing a London borough, is designed so that when it is dismantled the poles will be donated to schools and community organisations across the capital, forming a legacy allowing these totemic markers themselves become new civic beacons in London for years to come. 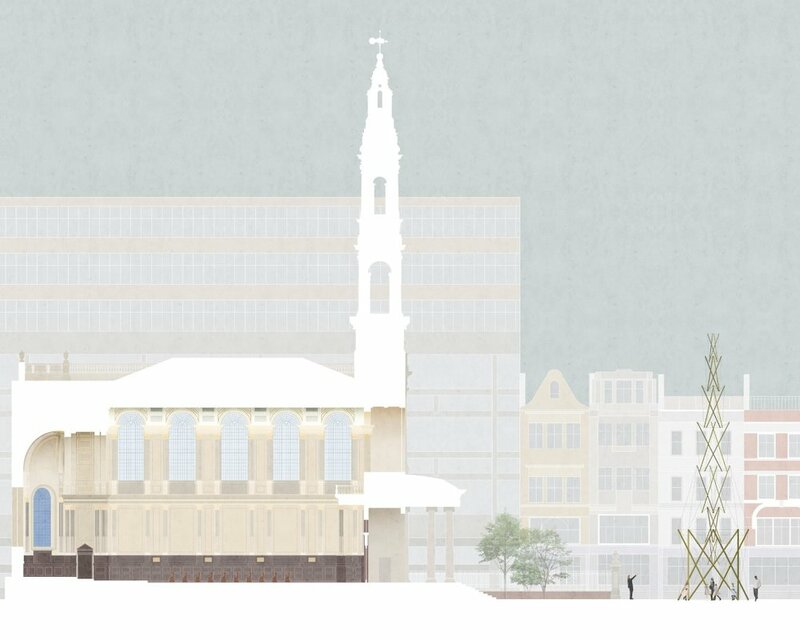 The ‘Modern Maypole’ structure embodies a hybrid of engineering ingenuity and architectural design. Each pole held in place by ‘tensegrity’, a term coined in the 1960s by Kenneth Snelson and Buckminster Fuller, whereby the structure stands thanks to the compressive strength of the anodised aluminium poles and the tensile strength of coloured steel wires acting in unison. 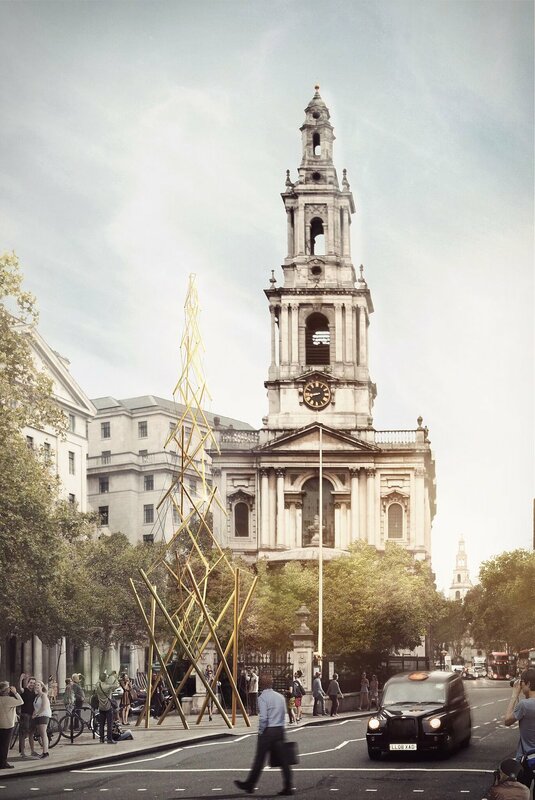 The maypole will stand outside the church of St Mary-le-Strand: the site of London’s largest and long-lost maypole, which was constructed after the restoration of the monarchy in 1660 and towered over the city. The ‘Modern Maypole’, serves as a reminder of how radically London’s skyline, character and identity have changed over the centuries. 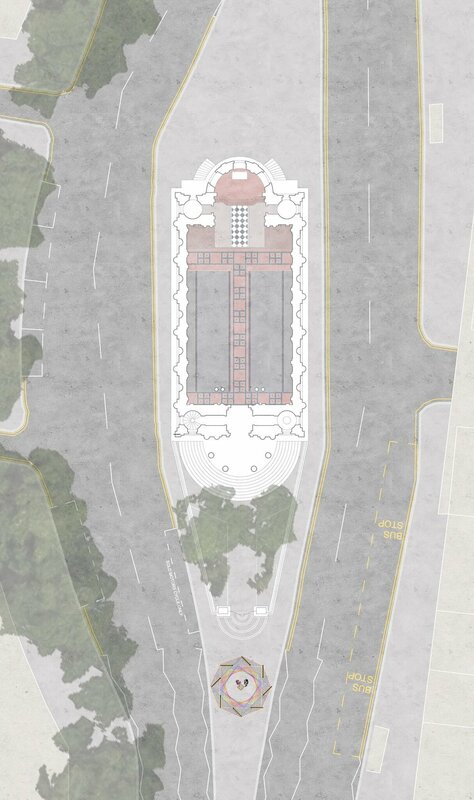 In keeping with the London Festival of Architecture’s ‘identity’ theme for 2018, the project will be a temporary landmark that also explores shifting ideas of communal identity and shared experience.